It was very easy to change the system font in Windows 7 and Windows 8.x, but in Windows 10 you’re stuck with Segoe UI. It’s not a bad choice, but if you have a favorite font -- Comic Sans! -- then wouldn’t it be great if you could deploy that across the entire operating system? Well, actually you can. You just need to do some registry tweaking. 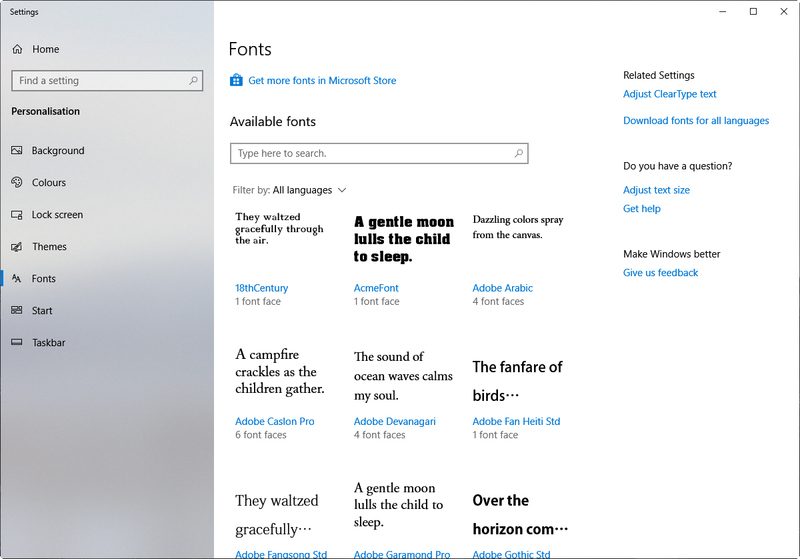 If you’re not sure which font to use, right-click on the desktop, select Personalize, and then click Fonts on the left side. Pick one. Replace 'Newfont' with the exact name of the font you want. Go to File > Save as and in the 'Save as type' box select All Files. Change the extension from .txt to .reg and save the file to the desktop. Double-click the file and your changes will be made in the registry and you just need to restart your PC.